Moore's career began as a teacher. He served during the First World War but after being demobilised in 1919 received an ex-serviceman's education grant and enrolled at the Leeds School of Art. 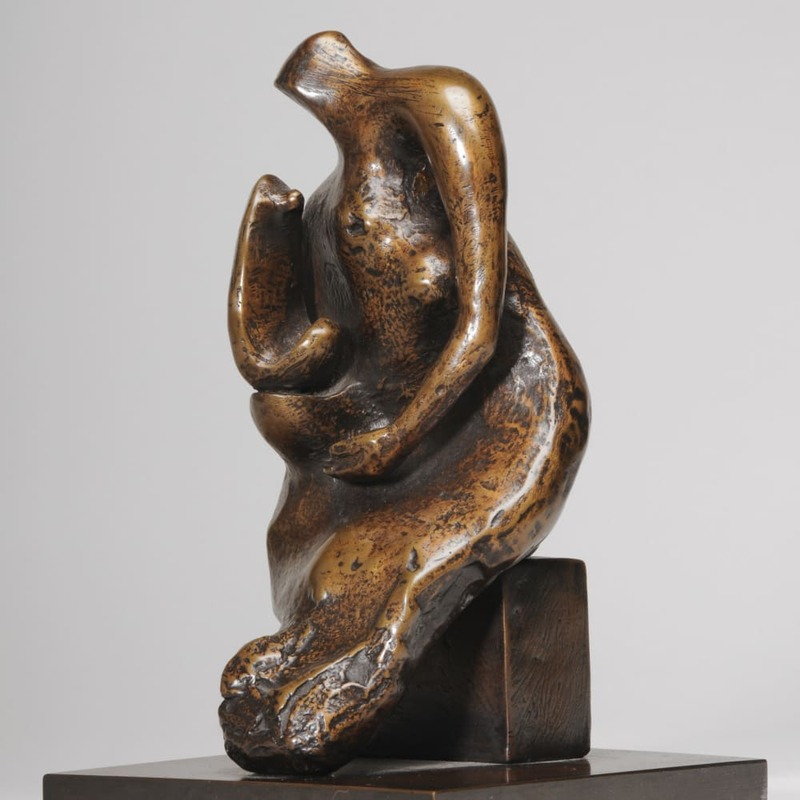 In 1921 he won a Royal Exhibition Scholarship in Sculpture and entered the Royal College of Art. The first exhibition in which he participated was at the St. George's Gallery, London in 1926. In 1928 Moore received his first public commission - an eight footrelief sculpture for the facade of the new Underfround Building in St. James's, London. He was also commissioned to carve a Madonna and Child sculpture for St. Matthew's Church in Northamptonshire in 1943. His first major retrospective exhibition was held at the Museum of Modern Art in New York in 1946. Moore was made a Companion of Honour in 1953 and received the Order of Merit in 1963. "For me a work must first have a vitality of its own. I do not mean a reflection of the vitality of life, of movement, physical action, frisking, dancing figures, and so on, but that a work can have in it a pent-up energy, an intense life of its own, independent of the object it may represent".